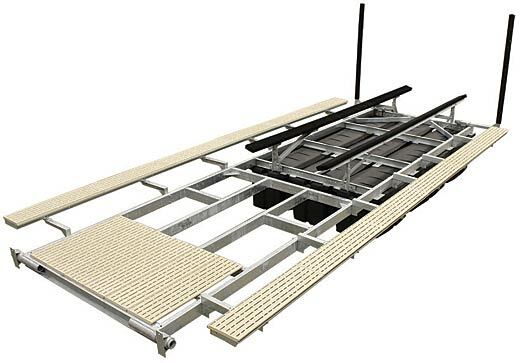 Front Mount RhinoLift floating boat lifts have been designed to accommodate double-wide boat slips and locations with a dock finger on only one side of the lift. A standard front walkway featuring slip-resistant Flow Through decking provides you with convenient access to your boat's hull for maintenance and cleaning. Optional side walkways allow even more room for you to access your boat. The First Mate control unit is available with either manual operation, or for added convenience, you can upgrade to a wireless, remote controlled First Mate. 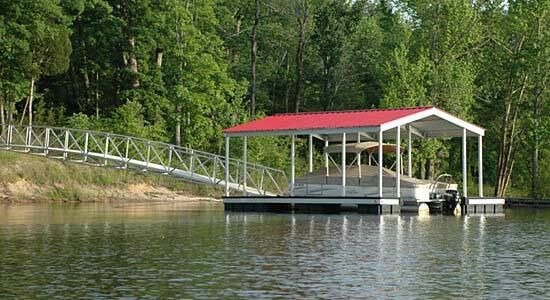 You'll enjoy ease-of-use, peace of mind, and boating convenience when you choose a Front Mount RhinoLift from a trusted, industry-leading floating boat lift manufacturer. Failure is not an option. Every RhinoLift lift is forged with pride for superior stability and durability. Every component of the RhinoLift lift is marina-grade to withstand even the harshest of elements. A standard front walkway and optional side walkways provide you with safe, convenient access to your boat. Plus, with a standard First Mate control unit and optional remote, you can raise and lower your lift with the push of a button. Enjoy the peace of mind gained from trusting the industry's leading manufacturers. RHINO TANKS are rotationally molded for durability and impact resistance. *Frame Height with Tanks; tanks are each 26" tall x 28" wide x 12.5" long.